Guy Gavriel Kay has become an author I look forward to reading. His brand of fantasy captured my attention in Ysabel, Children of Earth and Sky, and Sailing to Sarantium, the first book in Sarantine Mosaic series. Kay has carved out his own niche in fantasy that is closer to historical fiction than epic or urban fantasy. As a result, the fantasy genre has become richer and more diverse because of his body of work. Lord of Emperors is the second and final book of the Sarantine Mosaic series. It starts in the aforementioned Sailing to Sarantium and revolves around Crispin, the mosaicist who has been commissioned to build on the dome in the holy city of Sarantium. However, the emperor of Sarantium is looking to merge his power and has plan a conquest of Crispin’s homeland of Batiara. The mosaicist gets caught in the middle of war and political intrigue as he continues to finish the work commissioned by the emperor. Also, a physician named Rustem arrives in Sarantium and gets lured into the political machinations of the holy city and becomes a part of the plot to insure the city’s future. I must admit I felt that Kay spent a lot more time on Rustem than Crispin in this novel. I have become connected to Crispin in Sailing to Sarantium and wanted more his story in Lord of Emperors than I had received. 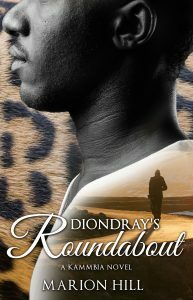 However, Kay structured the novel well and had the two men cross paths at the appropriate time. Lord of Emperors completes the Sarantine Mosaic series excellently. But, I liked the novel more than I loved it. 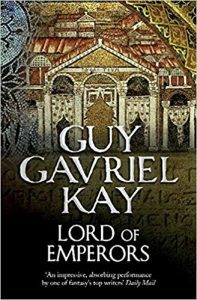 Kay’s version of the Byzantine Empire is worth reading and adds to my belief he is one of the best novelists working today regardless of genre. I would recommend that you read Sailing to Sarantium first before Lord of Emperors. This will be one of my favorite reads of 2019.